When an accident occurs, the people involved are usually so busy living it that they don’t have a chance to note every detail concerning the cause and circumstances of the accident. One of the most common things people say concerning an accident is that it happened so fast. That is where an accident reconstructionist or accident investigator can play a very important role. These professionals carefully investigate the accident itself and the events that led up to it, and then use that information to reconstruct an accurate picture of exactly what happened during the accident and how it was caused. An "accident" is defined as "an unexpected and undesirable event". 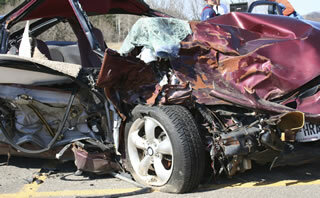 Accident reconstruction is a branch of causation forensics which involves determining how and why an accident happened. It is accomplished first by carefully interpreting the clues left by the remaining physical evidence of the accident, then by reconstructing and studying the events proceeding, during, and following the accident. A peculiarity of this profession is that accident reconstructions are methodically worked backwards time-wise, from the end results back to the beginning sequence of events. All kinds of accidents are investigated through reconstruction methodology, including plane crashes, crane failures, bridge collapses, vehicular collisions, etc. Reconstructions of traffic collisions typically involve determining the factors that contributed to the cause and severity of the collision, such as excessive speed, poor visibility, a defective tire, the failure of an occupant to wear a safety belt, or the disregard of traffic control devices. Accident Reconstructionists in the private sector are independent forensic generalists and specialists. Some are retired or moonlighting police officers with special training, and others are technically trained like engineers and physicists who have specialized in related fields and who have the necessary training and experience in accident reconstruction. Since we are a Surplus Lines Broker we deal directly with the insurance company on your behalf, and we can save you money.